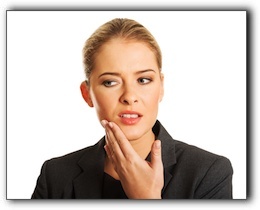 Home › Oral Health › Unexplained Headaches Or Jaw Pain? Hello! I’m Ronen Rotem, DDS, of Rotem Dental Care in Toms River. I have been practicing quality general and cosmetic dentistry since 1995. Today’s post focuses on malocclusion, or bad bite. If the misalignment is very slight, there are often no related problems. However, if the malocclusion is moderate to severe, the patient is at risk for many other health issues such as difficulty chewing and speaking, headaches, hearing problems, increased decay, jaw pain, and gum disease. There are several effective treatments for malocclusion, but first you need a diagnosis. If you suspect that you have a misaligned bite, I hope this post has given you some good reasons to talk to Dr. Ronen Rotem. Call 732-691-4944 to schedule a consultation and exam.